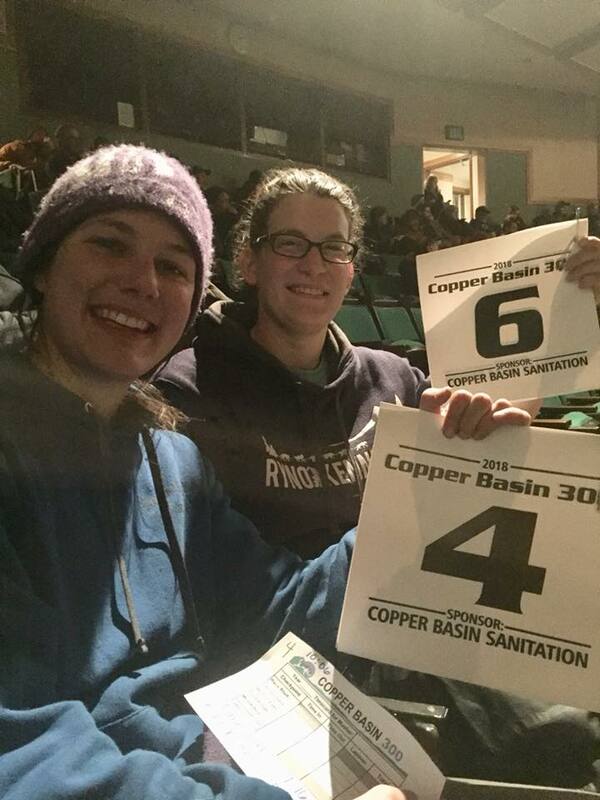 The drawing of the bibs for the start of the Copper Basin 300 occurred last night, and the stars lined up for Ryno Kennel: Ryne was very happy to draw bib #4 and Liz drew bib #6!! If my calculations are correct, that means Ryne will head out at 10:06 AM this morning, and Liz will follow 10:10 AM. As I learned from Ryne's mentors at SP Kennel, two key elements make for a successful dog team: "the attitude, appetite and ability of the dogs, and the skill, strategy and stamina of the mushers." But there is a third element that plays a role in any endeavor, and that is luck. Whether it is luck with being dealt the perfect cards in bridge or not catching that cold before a 10K race, in dog sled racing, there is luck of the draw. "An early starting position means that you have little, if any, traffic ahead of you. For speedy teams, that means very little passing needs to be done. This can be significant because passing is not as fast as free running. It takes a little time to pull up on a team ahead, signal your intentions, make the pass then move along. Think about what it’s like to pass a slower vehicle on a two-lane road. It takes time to accomplish before you can step on the gas again. Top teams which pick early starting numbers will be much happier with their luck than those who pick later starting numbers and have to work their way through the crowd." "Second, the earlier your start, the more “start differential” time you have to give back at your longest checkpoint rest. This is also an advantage for early starting teams because instead of getting only the 6-hour mandatory rest, they can get as much as an extra hour-plus of rest. That extra rest is all to the good for a dog team. So, again, early starters will be happier with their luck of the draw. These are slight, subtle advantages, but every little bit helps in a highly competitive race like the CB300." The stars were aligned for Ryne, #4, and Liz, #6, last night. Side note: I am Ryne's mom, Katy, and will be trying to keep up the Ryno Kennel blog from my home in Durango, Colorado, while the rest of the team is all at the race. As Ryne mentioned, on site, Derek, Thomas, and Jeff will be trying to update me as the WiFi lines permit, otherwise I will be anxiously following the tracker on the CB300 website as I hope you will. Good luck and Happy Trails to the Ryno Kennel teams!